Windhoek - Its Off the Hook! Windhoek is the medium size capitol of a very small country, – Namibia only has 1.2 million residents – it’s also Namibia’s financial and transportation center. If you are coming to Namibia, at some point you will pass through Windhoek. Namibia was once a German colony and while it hasn’t been directly connected to Germany since the first World War, there are a surprising number of German speakers here. As a white person walking the streets we became use to people addressing us with “Gutentag” rather than “Hello”. One welcome example of the German influence is the surprising number and quality of German bakeries in town. There are some high quality pretzels in this town! It’s not a bad experience, it’s a very walkable city, and crime isn’t that bad here. But, chances are slim you came all the way to Namibia to visit Windhoek. The real sights of Namibia are out in the countryside, go to Etosha or Fish River Canyon or the Dunes as soon as you can. Windhoek is best used as a stopover to these points. 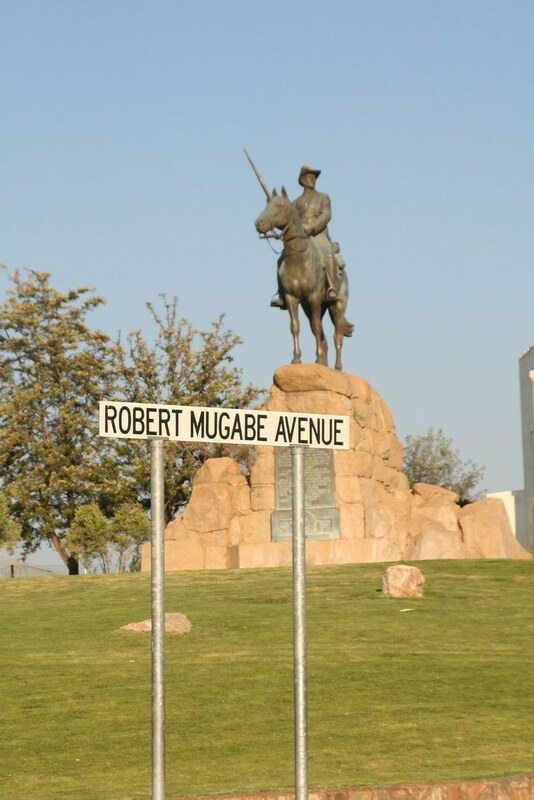 One thing that may stick out is the rather surprising tendency to name major streets after dictators – for example: the middle of town is the intersection of Robert Mugabe Avenue with Fidel Castro Street. Other than that it’s a pretty normal medium sized African town.